Hello everyone! 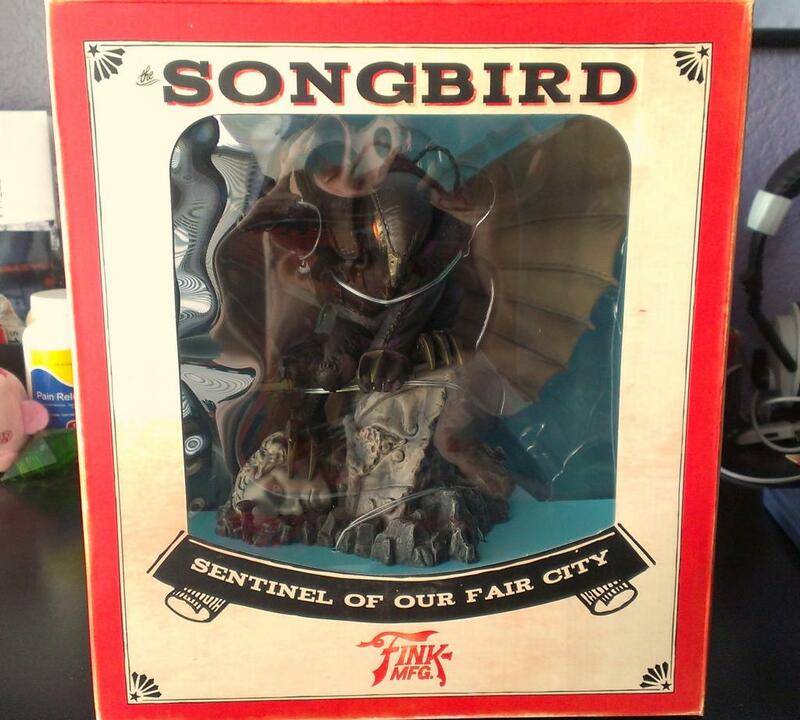 In this post I’d like to take you all on a photo-tour of my newest toys and gear from the Bioshock Infinite Ultimate Songbird Edition. 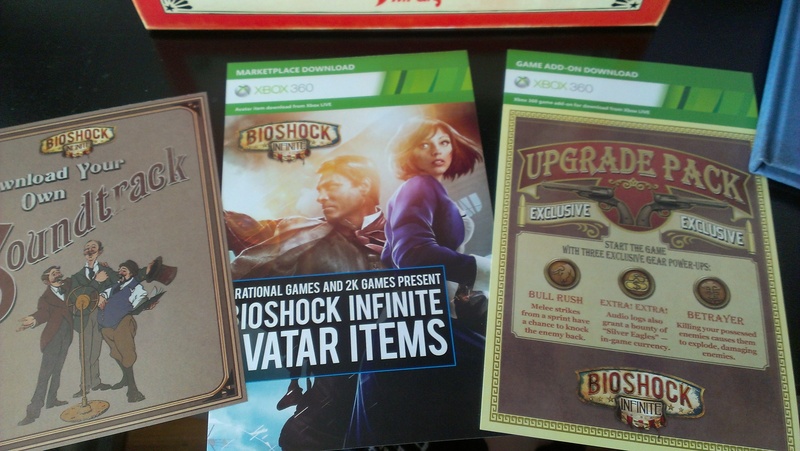 I’ve been doing these photo unboxing posts for big Collector’s Editions I have purchased and this is no different. 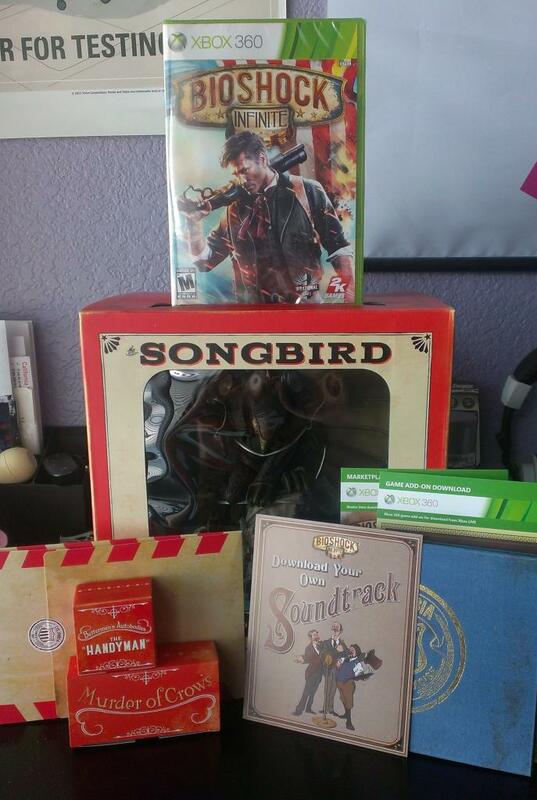 I will basically describe what the Ultimate Songbird Edition comes with, show you some pictures of goodies, and give you my thoughts on the things included and tell you whether or not it was worth the money spent. Let’s get started. That’s a lot of stuff! This edition of the game only cost $149.99. Next up is the Limited Edition Artbook. The artbook is really cool and unique since it has a old-world look it with stains and scuffs as well as a neat insignia on the front. It’s relatively thick compared to most special edition artbooks and really has a lot of cool artwork in it. 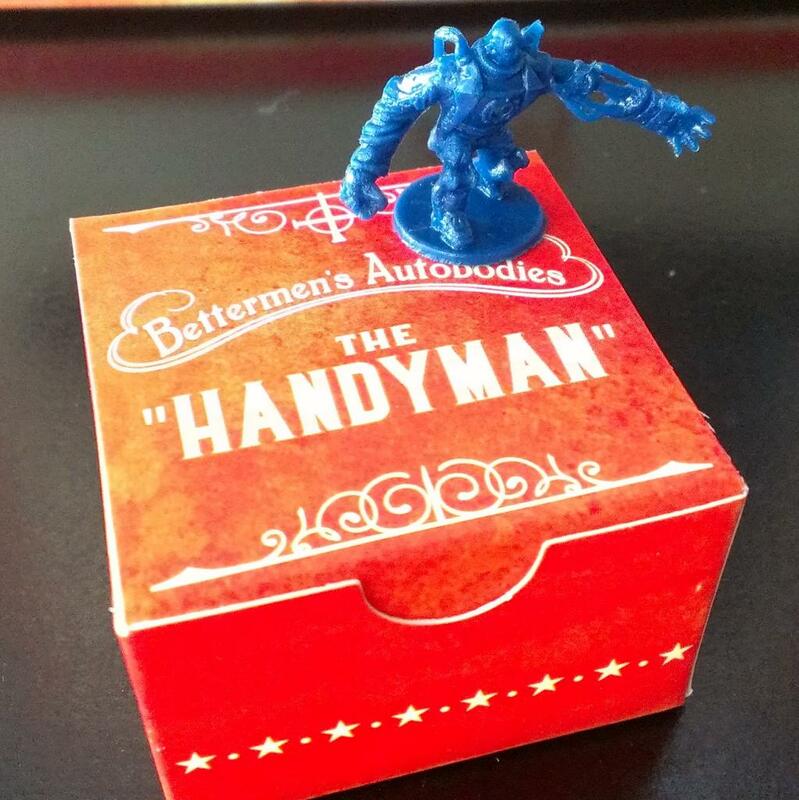 The Handyman figure is neat, but a little smaller than I expected. 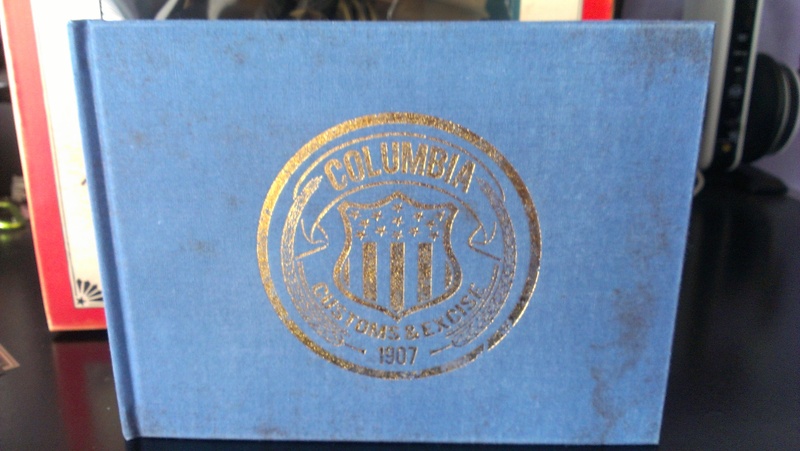 I also didn’t expect it to be all blue with no detail but it’s still a neat collectible. 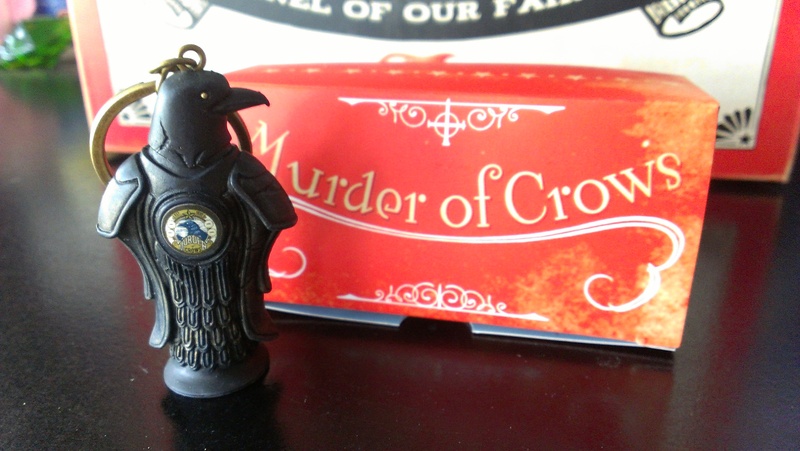 I was really more interested in the Murder of Crows keychain which is super cool. It’s very good in quality and is thick, heavy, and sturdy. Bull Rush – Melee strikes from a sprint have a chance to knock the enemy back. Betrayer – Killing your possessed enemies causes them to explode, dealing damage. The Avatar gear includes the Book costume for male avatars and the Elizabeth costume for female avatars. The soundtrack is obviously the soundtrack for the game, it’s all digital and downloads straight to your computer. 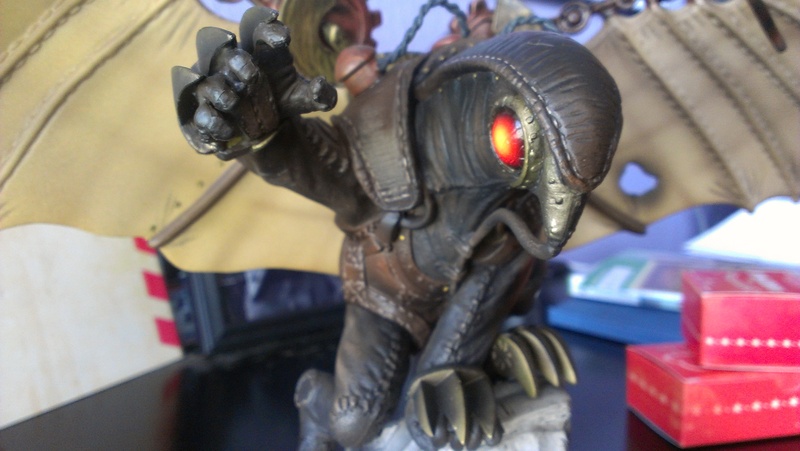 Last but not least in the stunning Songbird statue. This thing is huge! 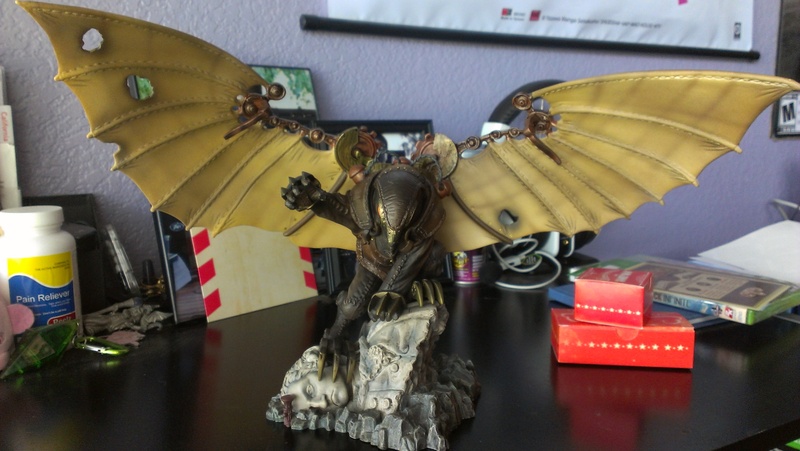 It’s also very detailed and has detachable wings. I could talk about how cool it is all day, but it’s better if you see for yourself. That concludes this unboxing. Be sure to keep an eye out for the next unboxing which will be, if I’m not mistaken, the Dead Island Riptide Rigormortis Edition. Thanks for reading/viewing! It’s very kickass indeed! 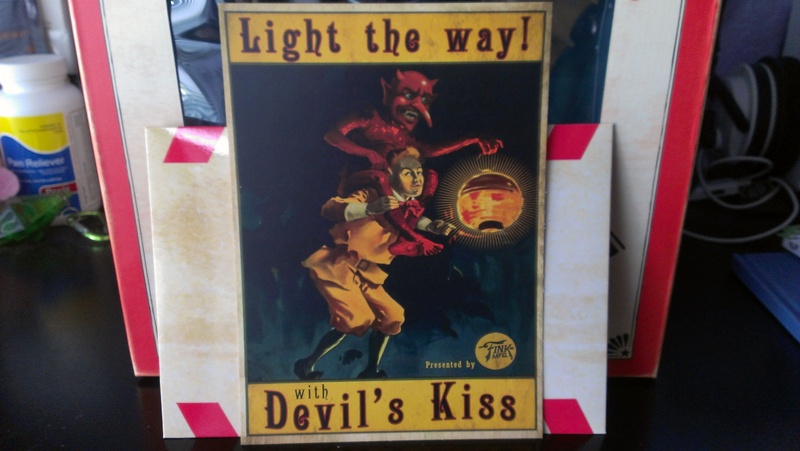 I’m also a big fan of the Bioshock games, I haven’t started it yet but I hear great things about this one and I can’t wait to play it! That bird thingy is pretty cool. I hope I don’t end up regretting it, but I decided to get just the standard edition with the season pass. Regardless, I’m very jealous of that swag. Well, with the internet how it is these days I’m sure you can get the stuff later if you need to. The game itself is incredible, best part of this for sure! “sigh” I wanted this so bad! >< That Songbird is badass! 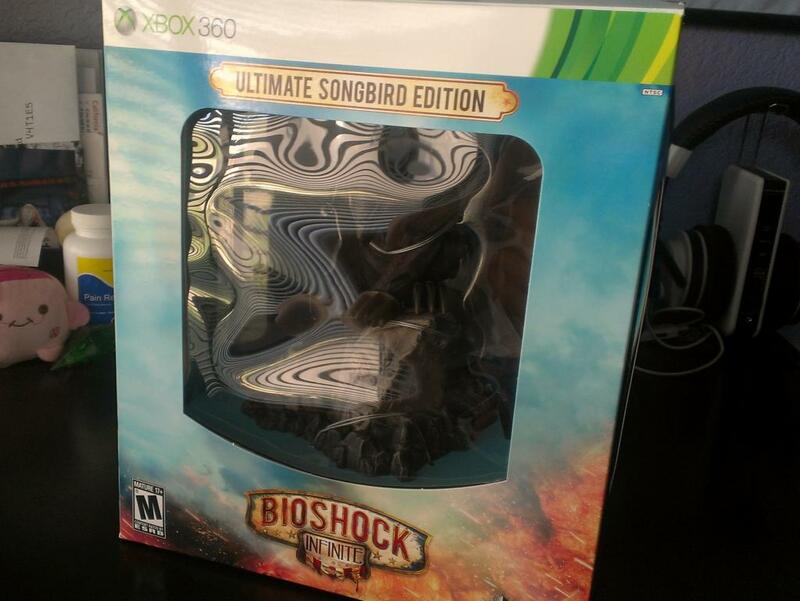 Man, the Songbird editions sold like pancakces at my local game shop on release day. Unsurprising because of the quality and the amount of great goodies you get with the purchase. Do you guys think it’s worth the steep price though? I think it was worth it. I mean, that Songbird is super high quality resin and whatnot, but the other goodies are also top notch (except that handyman), so overall it was worth it. 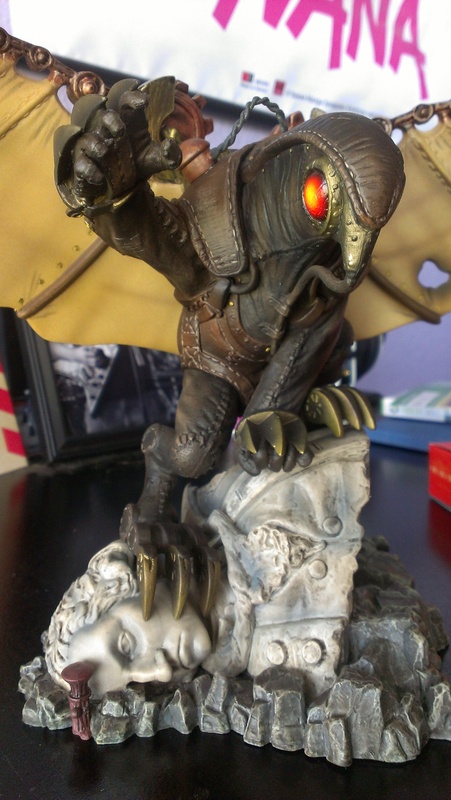 Though I think it’s the most expensive collectors edition I have ever purchased.